As an optometrist, few situations bother me more than seeing a case of advanced glaucoma, not diagnosed and treated earlier solely because the patient has not had an eye exam in years. My heart breaks a little each time I see it happen. Glaucoma is the number one cause of preventable blindness in the world. Blindness secondary to glaucoma should not be an option in the United States where we have access to excellent health care. In rare cases of aggressive glaucoma, one can go blind from glaucoma even with treatment but in most types of the disease, it can be managed and kept under control with topical glaucoma drops or laser and surgical procedures. I get it-- if you have perfect vision, why would you want to go spend your time at an optometrist’s office? These doctor appointments are not exactly a priority. It is my hope that we can shift this view and see more patients for comprehensive eye health exams, regardless of their visual status. Glaucoma is defined as a group of eye diseases which cause optic nerve damage, normally because of elevated intraocular pressure. The optic nerve carries millions of visual neurons from your eye to your brain. Often, the elevated eye pressure causes atrophy to the neurons responsible for your more peripheral vision before affecting the neurons responsible for your more central detailed vision. The disease progression is compared to tunnel vision - like loss. Most people don’t notice these early visual changes and cannot feel the pressure increase inside their eyes. Therefore, routine exams are critical for early detection and treatment of the disease. There are two main types of glaucoma: open angle glaucoma and narrow angle glaucoma. Open angle glaucoma occurs when the ocular drainage canal known as the trabecular meshwork is open and easily draining the liquid substance (known as aqueous humor) in the eye. The eye has a natural tendency to regulate its own pressure and drain the amount of aqueous humor necessary to maintain homeostasis. In open angle glaucoma this process is impaired and the intraocular pressure increases. Treatment for open angle glaucoma usually begins with topical eye medications to control the pressure. In closed or narrow angle glaucoma, the elevation in pressure is due to the blockage of outflow because the angle leading to the trabecular meshwork is narrowed. Often in narrow angle patients, a simple laser procedure can open up their ocular angle and lead to better drainage and normalized pressures. While the exact etiology of glaucoma is hard to define, we know that certain individuals are more at risk. Anyone with a family history of glaucoma, a history of elevated or borderline intraocular pressures, African Americans over 40, and all individuals over 60 are more at risk. These individuals need to be evaluated even more consistently. It is my hope that we can bring more awareness to this ocular disease that in most cases can be managed to the point where limited if any visual loss occurs. While glaucoma can be prevented, the damage cannot be reversed once it occurs. Although often taken for granted, I know that sight is a sense I definitely would enjoy keeping. 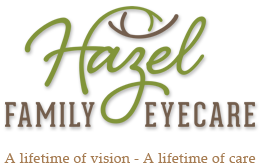 Let’s not take it for granted - add scheduling your yearly comprehensive eye examination to your oh-so-busy to-do list today.